I’m glad that my husband and I have started exploring luxury hotels off-late. When I say luxury hotels, let’s not immediately draw heavy numbers that will be shooting our pockets down. When we plan in advance (that’s what we do in most cases), you can be sure of finding some great deals. 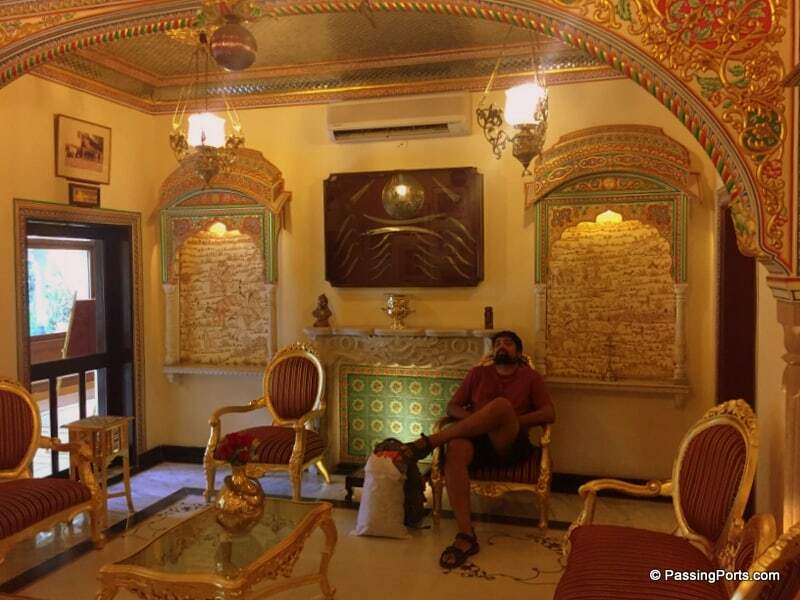 Ladies and Gentlemen, that’s how we landed up at Shahpura House in Jaipur. It’s like I need to give this place a grand entry with drum rolls etc. Okay, I’m sure you know by now that I love this place but let me still take you through this property and help you make up your mind. Our criteria in picking a property this trip was simple. We wanted to stay in heritage style hotels. That’s it! There were many options in Jaipur to choose from as this is a royal city. Though Shahpura House was a little more expensive than few other properties, for some reason, both Narayanan and I chose had shortlisted Shahpura as our first option, individually! I have to mention one thing before we dive into intricate details – the photos on the internet don’t justify the beauty of this property. It’s called Shahpura House for a reason. 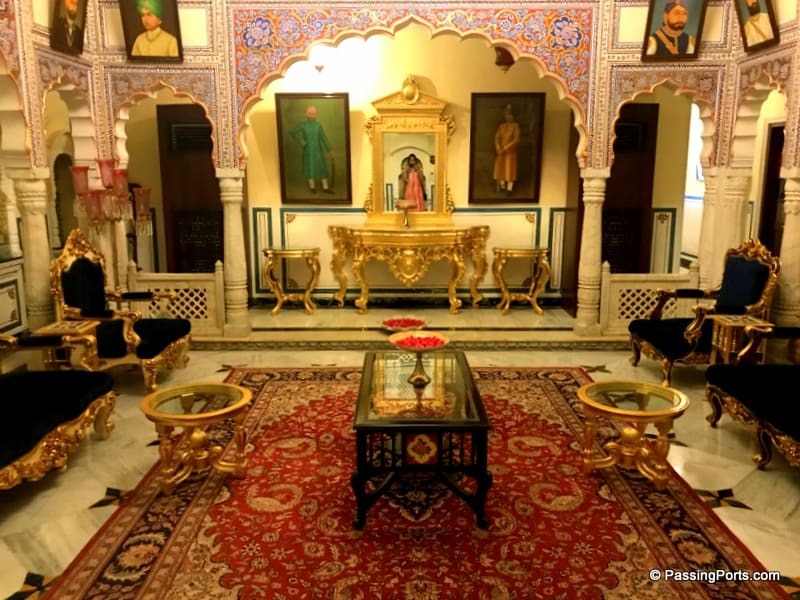 This property was once upon a time home of the Royals hailing from this village called Shahpura. Oh yes! This property is a classic mix of olden day architecture, look and feel, with all the modern facilities of today. We were here for three nights and my heart did not want to leave this property due to its sheer elegance, if not the service. 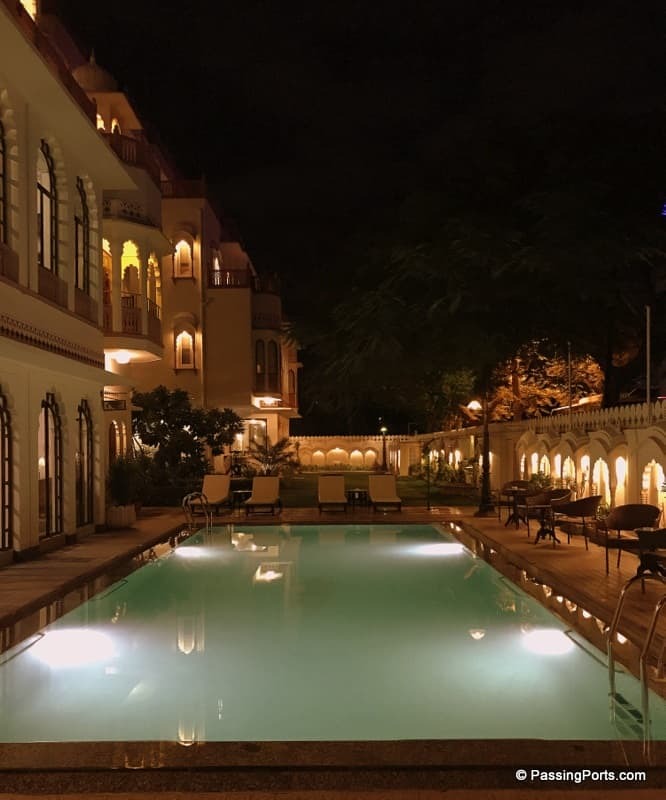 Located near the famous Bani Park and a little away from the Old City, Shahpura House makes you feel royal the minute you step foot into the property. 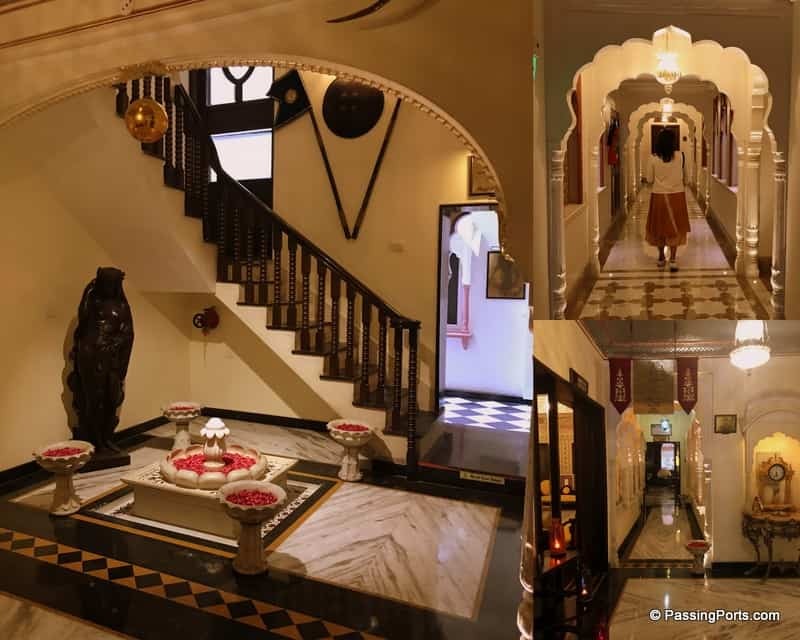 Right from the entrance, to the reception, to the waiting rooms, gardens etc, you will be spellbound and consumed into the regal world and feel like royalty yourself. 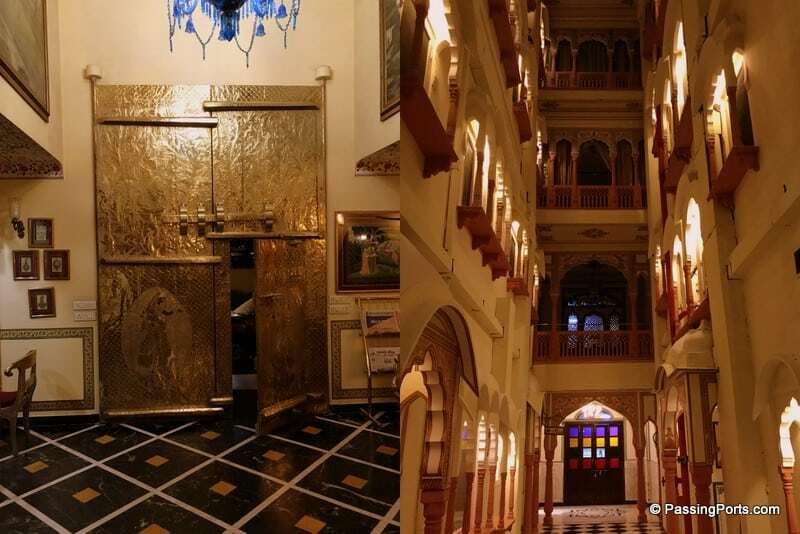 Shahpura House has 65 rooms and each of them is unique in their own way. Every floor has a different ambiance filled with swords, guns, flags and old photos. There is a small shop, like you find in every property, where you can find clothes, jewellery and other small souvenirs priced on the higher side. 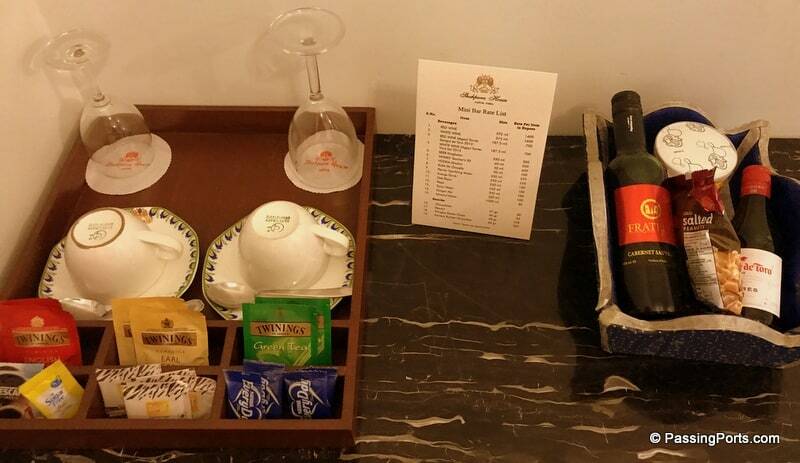 The rooms are categorized as Deluxe Rooms, Suites, Royal Suites and Shahpura Suites. We booked a Deluxe Room online, but when we reached the property, we were upgraded to a Suite on the 4th floor. The Suite room was luxurious. It had everything that one would expect in a 5-star property (it is a 4-star property, IMO) and the bath was nice and big (no bath tubs in our room). We just had one issue though: they gave us twin beds (noticed that in the pic above?) instead of a double bed. We did bring that to the notice of one of the managers, but he didn’t have a satisfactory answer. That apart, everything else about the room was just perfect! 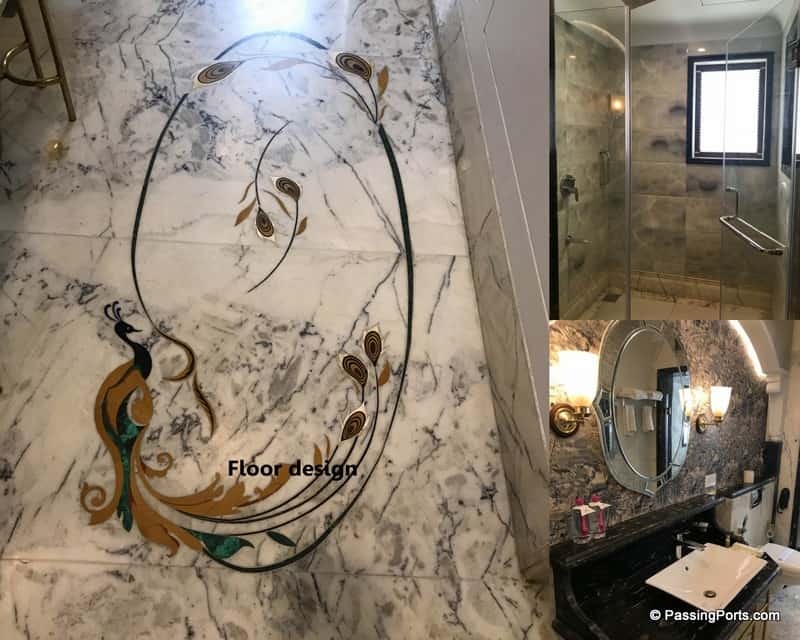 What caught me eye was the bathroom flooring. Talk about making sure everything in the property makes you feel royal. I think these guys know the art well. It is open from 7 am in the morning till about 10 pm in the evening. Extremely clean and well-lit, we had a relaxing swim at the pool. You can also order your drinks from here 😉 Your welcome. 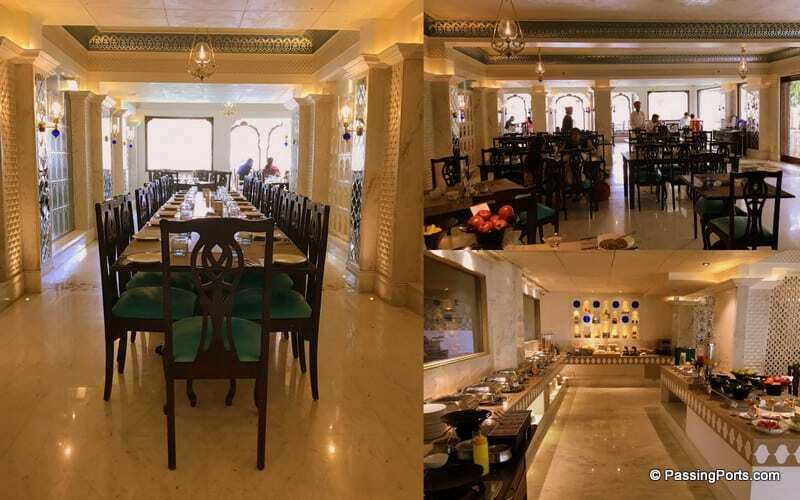 Shahpura House has three restaurants and a bar: Sapphire which is the all-day dining multi-cuisine restaurant on the ground floor, the rooftop Terrace restaurant (serving Indian cuisine) on the roof of one wing and Rasa (again serving Indian cuisine), on the top floor of the other wing. The bar is situated near the reception on the ground floor and there are no points for guessing what it is called, it is called Bar. We ended up eating at Sapphire every time we ate at Shahpura House. 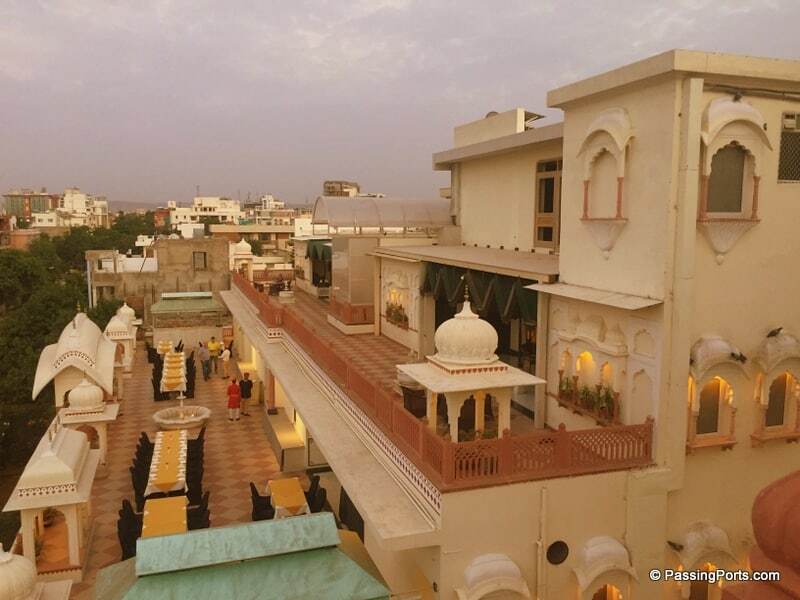 The terrace restaurant hosts live performances with the view of Jaipur in the background for dinner. However, the performance had just gotten over by the time we landed there for dinner. So we headed back to Sapphire again (we just assumed that the taste of the Indian food in any of those restaurants would be the same). TIP: Try not to miss the performance as it was so good. We could hear the performers sing and could envision them dance while we were in the swimming pool. We thoroughly loved our food at Shahpura House. While the continental cuisine was tailor-made for foreigners (read that as rather bland and mostly non-vegetarian), the quality and taste of the Indian cuisine were just mind-blowing! We ordered for room service one night as were too tired to go to the restaurant. The food (Dal Kichidi with pickle and curd) was delivered to the room in reasonable time – yummy again. Service was at its best where the staff always wore a smile. You can find them round the clock and there is always some one to help at any given point. They also help you with information about the city and finding a transport for you, if you need one. Address: D 257, Devi Marg, Banipark, Jaipur – 302016. If it wasn’t obvious enough till now, we absolutely loved our stay at Shahpura House, barring the twin bed (which we quickly forgot about). The property does give you a sense of royalty, and that in our opinion is what Jaipur and Rajasthan are all about. 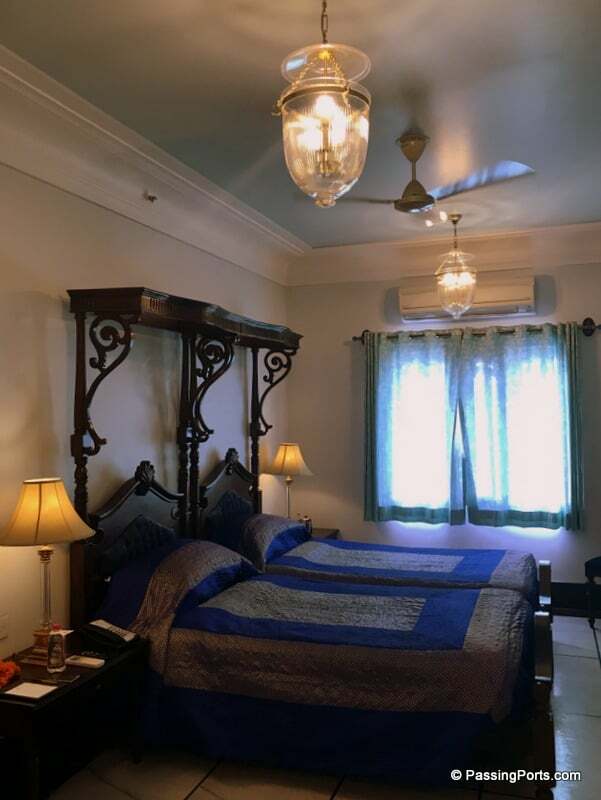 Book your room now at the Shahpura House on Agoda or Booking.com.